dent democracy within the British Commonwealth. But after a few days on the island you'll discover influences and nuances hinting at its colourful past. We still have many British characteristics and, although English is the official language, French patois is widely spoken by the locals. In spirit, the island is influenced by many cultures. Saint Lucians drive on the left and have a passion for cricket. But the Caribbean influence surfaces in the drinks - rum and locally brewed beer, in the music - calypso, soca, reggae, in the richly flavoured Creole cuisine, in the carnivals, festivals and days of national pride, and in the open-air markets. The tribes left their mark on the island. They called it "Ioüanalao" and "Hewanorra" meaning "there where the iguana is found". 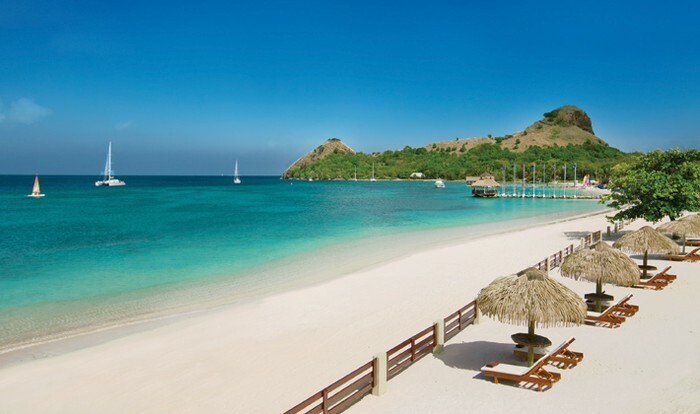 The name Saint Lucia was first used in the late 16th Century.